Bruwer Raats made rather a good short speech on Friday evening, as he collected his certificate for Raats Family Wines as the Platter’s Wine Guide Winery of the Year. He was a touch more belligerent than might have been expected, as he took the opportunity to pick up on the controversy generated amongst the Twitterati by his doubting remarks about that most holy category of modern Cape viniculture: Old Vines (definitely capital letters needed there). 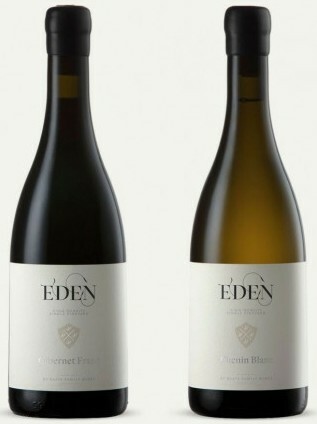 The Eden High Density Single Vineyard wines. Anyway, of those eight wines, said Bruwer, seven were made from fruit off younger vines. I’m sure, though, that not all were as young as those on the small Polkadraai Raats property, a vineyard planted in 2009, which produced his extremely fine pair of 2015 Eden High Density Single Vineyard wines. But Bruwer has a strong case when he talks of the need of designing young vineyards as the key to the highest quality Cape wine in the future – and let’s not forget that, for example, viticulturist Rosa Kruger has not only been the great enthusiast for old vines but has also designed and planted many important new vineyards, like the magnificent curving rows of wines, punctuated by bands of fynbos, on Mullineux’s Roundstone farm, and a great many for Anthonij Rupert in the years she worked there, to mention just some. These vineyard thoughts made me wonder, in my usual idly extrapolating way, about the vineyards of other Platter Wineries of the Year. The award has been made since 2008 – incidentally the last time Platter had a red cover, though of a different shade – when it went to Cape Point Vineyards, which had three of the 22 five star wines (there were 111 this year!). The 2009 winner was Kanonkop – as far as I can see the only winner thus far which didn’t achieve the highest number of five star wines: just one, for the Cab, in a year when De Trafford got two. The practice of giving the award to multiple five-star wineries has become controversial, as it essentially excludes very small producers; I think it’s likely to change, and very possibly would have changed this year, if the big winner of five-star wines wasn’t in all respects the worthy winner that Raats is. In 2010, Winery of the Year was Sadie Family wines – whose two five-stars (the whole range in those days) equalled the number scored by Boplaas ports. Subsequent winners up till this year were Nederburg (the very opposite of a small winery), Boekenhoutskloof, Chamonix, Mullineux, Sadie again (this time with three maximum-scoring wines), Mullineux again, and Nederburg again. As to the vineyards of the ten winners before Raats, it would be slightly exhausting to work out how many of their wines came off old vineyards (35 years plus) – but I’d venture a guess that the proportion would be small. But there’s something else that I’ve noticed, looking at the list. Apart from the first two winners (Cape Point and Kanonkop), only one (Chamonix) produces wines solely off their own vineyards. Boekenhoutskloof had own-grapes and bought-in grapes, like Raats this year, and I’m not sure if any of the Nederburg wines came off their own vines; but the rest of them all made wine from vineyards they didn’t own (though occasionally they played a role in managing them). Any conclusion to be drawn from that? As strong a one as Bruwer’s point about the value of not-so-old vineyards? I can’t see it, really; the sample is too small. So why mention it then, Tim? Dunno. It just seemed vaguely interesting. Something else that’s vaguely interesting… regarding blind tastings vs sighted at Platters. If you look back over decades worth of Platters you’ll note that the Nederberg NLH was religiously awarded 5 stars in sighted tastings but, as far as I can recall, hasn’t been awarded it since the blind tastings have taken over. Perception vs reality? Friends in the right circles? Kevin, you are incorrect in all respects. I don’t think Platter has ever – certainly not for a few decades – given five stars on the basis of anything other than blind tasting. Though the format of that tasting has changed. The Nederburg Winemasters Reserve Noble Late Harvest is widely regarded as a very fine wine (including by me). Under the latest tasting protocol, the 2014 and 2015 vintages both scored 5 stars. The 2016 (if it was made) was not tasted. The 2017 is listed in the current vintage as a “highly recommended”, which means the panel blind-tasting it scored it 94. I’ll revisit past editions to compare their sighted results (%) to the blind results (%) since Platters began and will give you those numbers. Fair point about Kanonkop, Skalabrak. That was careless of me, but I was really thinking about the wines that get five stars, which doesn’t include the Kadette range.